Yoan Lopez had a second consecutive successful outing Wednesday, striking out two and allowing only two baserunners in three scoreless innings. Manager Chip Hale reportedly had him face stronger opposition intentionally this time around, with Lopez facing - and retiring - Corey Dickerson and Carlos Gonzalez, among others. 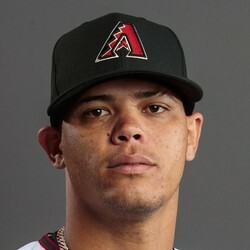 Lopez, 21, was rated the #7 prospect in the Diamondbacks organization by Keith Law in January. He was signed out of Cuba in the offseason for $8.25M. Lopez was not expected to make the team but has now impressed Manager Chip Hale in consecutive appearances and already made the first round of cuts. His fastball sits 92-95 (lower end so far this spring), but could play up out of the bullpen, which some scouts feel is his destiny. He is definitely someone to keep an eye out for later in dynasty drafts.